KIND is deeply grateful for your continued support of unaccompanied children, especially for the pro bono attorneys who fight on behalf of their KIND clients each and every day. 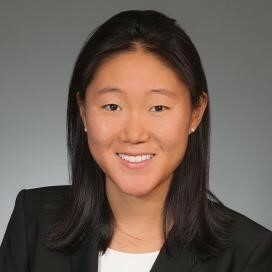 In September, we are pleased to spotlight Alexandra Lu, an Associate at the Goodwin law firm, who currently works with a set of high needs siblings. Thank you Alex for your incredible hard work and dedication! Why did you take a KIND case? I took a KIND case because I wanted to be a supportive advocate for a child facing a difficult process. I had a sense of how intimidating the immigration system could be from working in an immigration clinic in law school and from talking to my parents about their immigration story. I imagine the process and the bureaucracy must be all the more intimidating to a child. KIND made it possible to take action and to help where I could. What have you learned from this experience or from your client(s)? I have had the privilege of working with three young girls, each of whom has taught me in her own way about resilience. These girls endured terrible violence and grief and braved dangerous journeys to come here, in some cases leaving the only family they had known. And the challenges didn’t end when they got here—they were thrown into new family living situations, a new culture, and new schools where the classes were given in a foreign language. On top of that, they were asked to re-live their traumatic experiences and share them with strangers so they could have a chance to stay here. These girls continue to overcome daily challenges in their lives here, and have shown me the importance of staying true to what you value and what makes you strong. I’m grateful to know them. What is the most surprising thing you’ve learned about the U.S. immigration system? How unpredictable or haphazard it can seem—policies and expectations can change unexpectedly and in short order. I am so grateful to my KIND mentors for helping us keep up with all these changes and adjust to some of the more disruptive surprises. What would you tell other attorneys to encourage them to take a KIND case? Taking a KIND case can make a real difference in a child’s life. Just being someone who will listen, who can make connections to social services or other resources through KIND, who can get information from USCIS or from a clerk, or who can de-mystify a proceeding or otherwise help children and their families situate themselves in this complicated system, can turn the process into something manageable and a little less scary—and you can do those things!